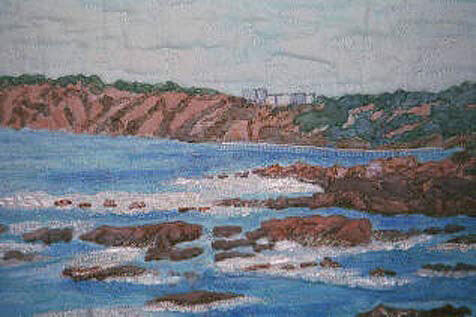 This quilt was inspired by a photograph I took when visiting La Jolla, CA and painted when I attended a workshop with Vicki Johnson. P.S. 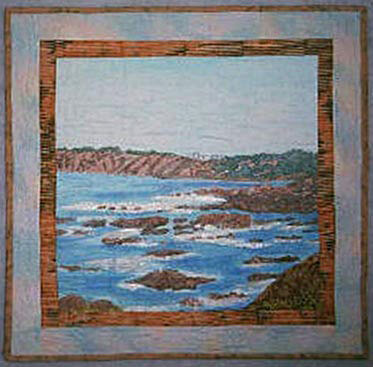 This little quilt disappeared when I taught at the Quilting Symposium in New Zealand. Please contact me if it should resurface.